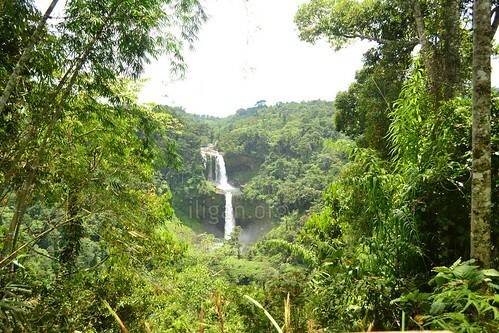 A two-tiered waterfall located in Sitio Limunsudan, Barangay Rogongon, Iligan City. 1. Through Cagayan de Oro City, then Talakag, then to Barangay Pigcutin. This is the quickest route. – If you don’t have a private vehicle, you must prepare 500 pesos for habal-habal (motorcycle transportation), that’s already two-way. – If you have your own transportation, use a 4×4 or a 6×6 all-terrain vehicle. 2. Through Iligan City, then to Digkilaan, then Barangay Rogongon, would take so long because of the inaccessible road for vehicles. One must walk getting there, and it would take days. It’s a one adventurous bumpy ride of a lifetime. Limunsudan falls truly is a product of nature’s creativity that continues to put us in awe. Proud to be Iliganon.